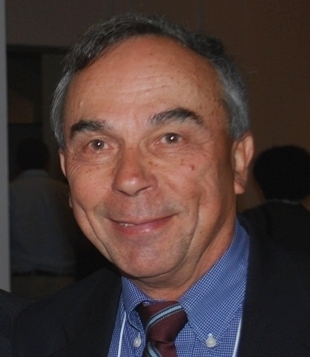 James A. Rillema, Ph.D, is professor of physiology and a former career development awardee of the American Cancer Society. In 1993, he received the Board of Governors Distinguished Faculty Award from the Wayne State University. His research interests focus on the signal transduction mechanisms for hormones in normal and neoplastic mammary cells. Dr. Rillema's recent work concerns the molecular actions of prolactin and other hormones on lactogenic and mitogenic processes. Experimental work is being carried out to determine the roles of tyrosine kinases, protein kinase C, raf-1 kinase, and other kinases in the expression of prolactin's effects at the genetic level. The goal of this work is to identify the signaling mechanism(s) for the regulation of gene expression of the genes that are involved in milk product formation. Whether one or multiple sites of gene regulation are involved remains to be established. The results of past studies from this laboratory have contributed to our understanding of how, on a molecular basis, lactational processes are regulated. Future studies are designed to provide further definitive information concerning how prolactin works. In addition, other aspects of our experimental work may provide information about fundamental differences between normal and neoplastic mammary cells, and how prolactin regulates mitogenic processes. Dr. Rillema is not accepting any students in his lab.